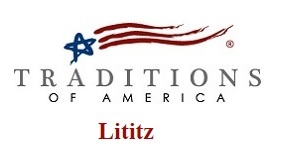 Lititz Pennsylvania - named America’s Coolest Small Town, voted one of Lancaster County’s top cities to retire by U.S News & World Report, and where active adults are living it up at Traditions of America at Lititz. Low maintenance and resort-inspired, Traditions’ homeowners are living happier healthier and more socially engaged than ever before. Life is all about making choices, and designing the perfect home shouldn’t be any different. 55+ buyers have a selection of seven gorgeous customizable floor plans to choose from priced from the $290s, ranging in size from 1,542 to 3,063 square feet. Great rooms, cozy window seats, large walk-in closets, and expansive gourmet kitchens are just a few of the standard features included in these homes along with an array of customization options including 4th bedrooms, extended lofts, bay windows, and fireplaces. With yard work included, active adults can spend more time hanging out at the Clubhouse where they’ll find everything from a fitness center, heated pool, and sports bar, to a business center, billiards room, and a demo kitchen. As a nationally recognized foodie mecca laden with rich colonial history, and a downtown area that’s always on the move, Lilitz is the little borough with a big personality. Home to major corporations and local businesses, Residents of Traditions will enjoy brushing elbows with the past as they look toward future.